Tourists are often surprised by the large number of vending machines in Japan. “When you are thirsty, you always have something to drink, because there are vending machines for everything,” said visitor Angelica Spadaro. There are more than 5.5 million vending machines in Japan — one for every 23 people. It’s the highest ratio in the world. The machines sell everything from tampons to cigarettes. 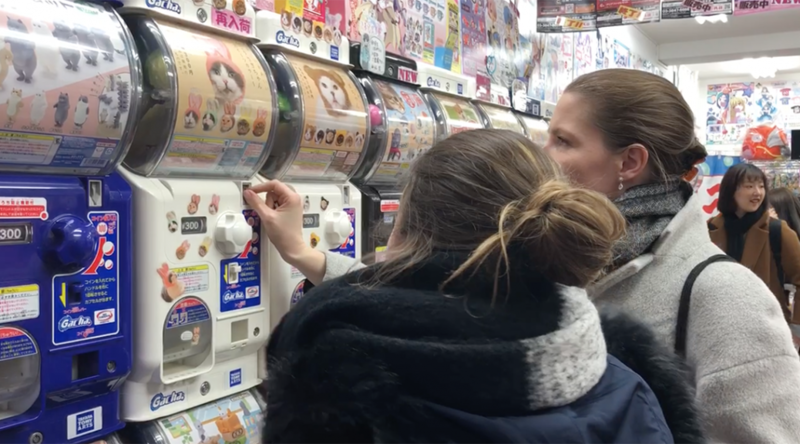 With Japan’s aging population, low crime-rate and obsession for automation, the proliferation of vending machines says a lot about the country’s unique culture.